The isotope-coded affinity tag (ICAT)  technology enables the concurrent identification and comparative quantitative analysis of proteins present in biological samples such as cell and tissue extracts and biological fluids by mass spectrometry. The initial implementation of this technology was based on microcapillary chromatography coupled on-line with electrospray ionization tandem mass spectrometry. This implementation lacked the ability to select proteins for identification based on their relative abundance and therefore to focus on differentially expressed proteins. 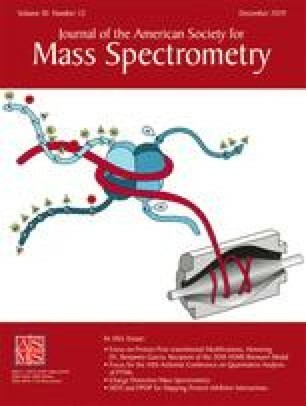 In order to improve the sample throughput of this technology, we have developed a two-step approach that is focused on those proteins for which the abundance changes between samples: First, a new software program for the automated quantification of ICAT reagent labeled peptides analyzed by microcapillary electrospray ionization time-of-flight mass spectrometry determines those peptides that differ in their abundance and second, these peptides are identified by tandem mass spectrometry using an electrospray quadrupole time-of flight mass spectrometer and sequence database searching. Results from the application of this approach to the analysis of differentially expressed proteins secreted from nontumorigenic human prostate epithelial cells and metastatic cancerous human prostate epithelial cells are shown.